The Electro-Motive Division's (EMD) GP38, GP38AC and GP38-2, the fourth entry of second-generation diesel locomotives, were extremely successful four-axle models that would only further establish EMD as the premier diesel locomotive builder of that era. By the time the GP38/AC and later "Dash 2" models were released EMD was a veteran builder that knew what railroads were looking for, and it hit a home run yet again with the GP38/GP38-2. There are only very minor differences with the GP38 and GP38AC while the GP38-2 carries an updated prime mover and newer electronics. The locomotive looked almost identical to the GP35 thanks to that model's standard carbody and cab design that EMD stuck with through the 1980s. Because of the GP38's success, hundreds remain in widespread use all across the country, particularly on regionals and shortlines. To date, there is only one GP38 known to be officially preserved, Tennessee, Alabama & Georgia #80 at the Tennessee Valley Railroad Museum. The original GP38 was actually no different from earlier second-generation models in terms of horsepower and was even de-rated a bit at only 2,000 hp (as compared to the GP30’s 2,250 and GP35’s 2,500 hp). The original model was somewhat successful but not nearly so as the the later GP38-2. 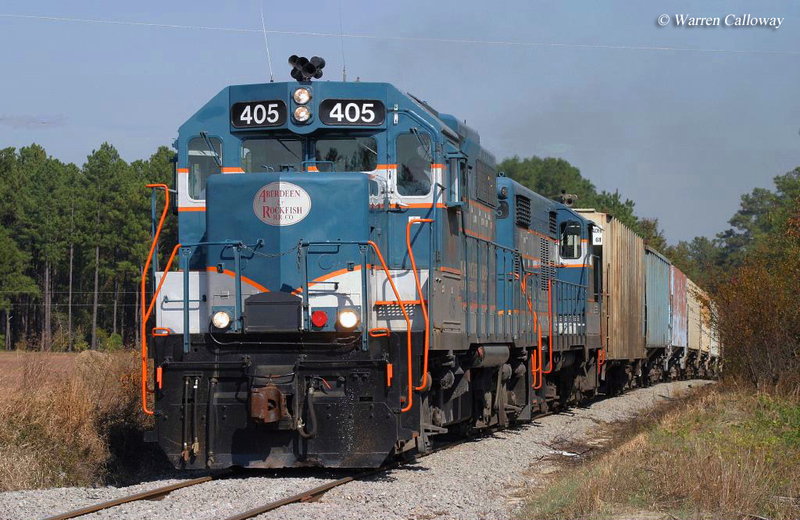 In any event, the GP38 carried the new 16-cylinder model 645 prime mover which replaced the 567 of the GP35 and had been EMD's standard diesel engine dating all of the way back to the original FT cab unit of 1939 (various upgrades the engine had been achieved over the years, however, making it more powerful and efficient. 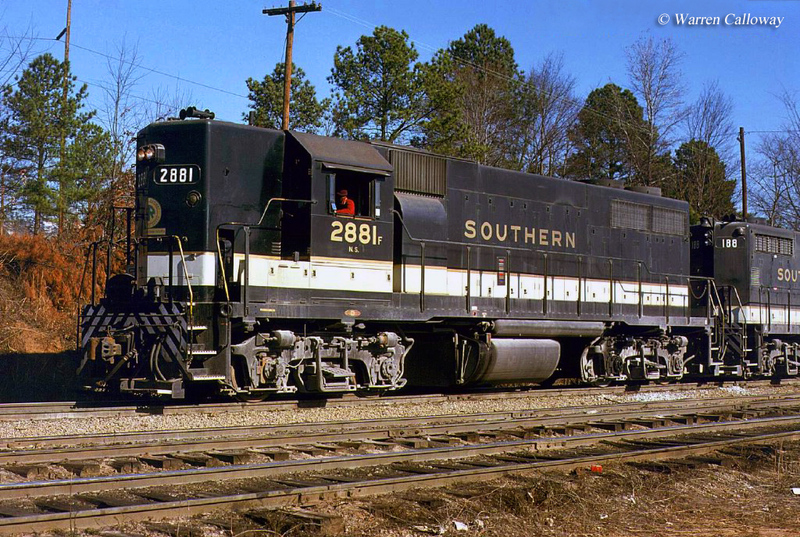 The locomotive featured General Motors' standard model D77 traction that could produce the same tractive effort of the earlier GP30 and GP35; 61,000 pounds starting tractive effort and 50,000 pounds continuous. 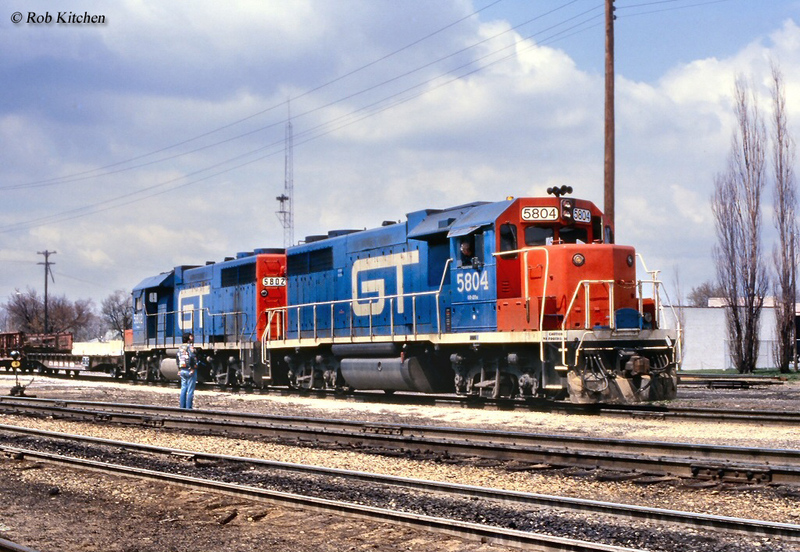 The GP38, which debuted in 1966 and was built through 1971, and the later GP38-2 which was built between 1972 and 1984, followed the earlier GP30 and GP35 (which were two of EMD’s first models what is commonly referred today as second-generation power, or those diesel locomotives that are clearly defined from early models with less horsepower and fewer other technological features). The GP38 models were both tremendously successful with nearly 3,000 units sold (the GP38 sold around 730 and the GP38-2 sold over 2,100). The GP38-2 model sold better, as did most "Dash 2" models, because of its further upgrades from the original which included things like a new type of traction motor blower duct, a modular electronic cabinet system and bolted battery box access doors. Railroads to purchase the original GP38 included the Detroit Toledo & Ironton (200-206), Bangor & Aroostook (81-88), original Norfolk Southern (2001-2007), Erie Mining (700-701), Phelps Dodge Corporation (47-54), Texas-Mexican Railway (857-860), Missouri Pacific (572-577), Maine Central (251-263), Clinchfield Railroad (2000-2009), Baltimore & Ohio (3800-3849, 4800-4819), Chesapeake & Ohio (3850-3899, 4820-4829), Pennsylvania-Reading Seashore Lines (2000-2014), Tennessee Alabama & Georgia #80, Aberdeen & Rockfish #400, Monongahela Railway (2000-2004), Gulf Mobile & Ohio (701-720), Southern (2716-2822), Penn Central (7675-7939), Missouri-Kansas-Texas (300-303), Burlington Northern (2072-2077), Louisville & Nashville (4000-4019), and Santa Fe (3500-3560). 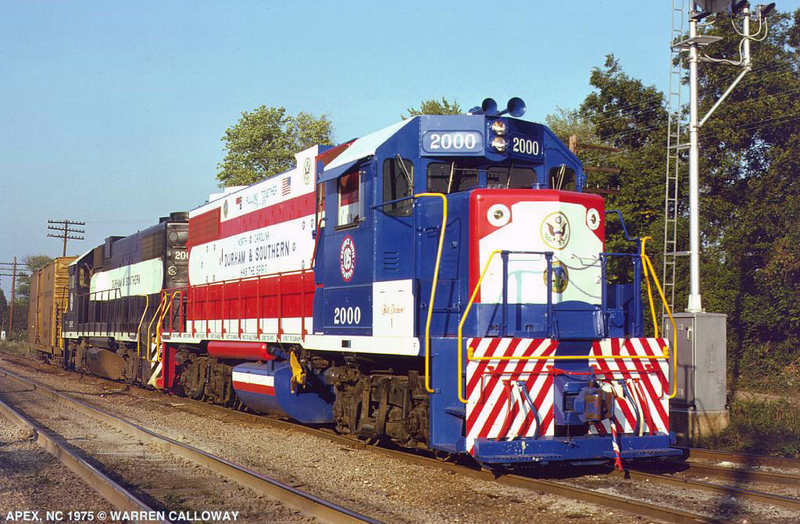 Also, the General Motors Diesel GP38 was built only for Canadian Pacific who purchased twenty-one (3000-3020). As for the GP38AC variant, it was essentially identical to the GP38 save for its model AR10 alternator in replace of the GM-built D32 generator allowing for increased tractive effort. The locomotive was built between February, 1970 and December, 1971 with 261 examples built for; Norfolk & Western (4100-4149), Illinois Central (9500-9519), Louisville & Nashville (4020-4049), Gulf Mobile & Ohio (721-733), DT&I (210-220), St Louis-San Francisco (633-662), Southern (2823-2878), Pacific Power & Light Company #11, Grand Trunk Western (5800-5811), Lehigh Valley (310-313). Except for the later GP40 and GP40-2 models, the GP38 and GP38-2 were EMD’s most successful second-generation Geeps and like the earlier GP35 fit exactly what railroads were looking for in terms of horsepower while also including the manufacturers’ excellence in quality and reliability. Because of the model’s success, it comes as no surprise that the unit can still be widely seen across the country from shortlines and Regionals to Class Is. In any event, be on the lookout for them because there are still hundreds roaming around out there! Also, of particular note about the GP38 series. In 1982 Trains Magazine selected Baltimore & Ohio GP38 #3802 as its All American Diesel for the locomotive's performance, service, reliability and the fact that it was an extremely successful design found all across the country. The unit ended its career on CSX as #9699. Unfortunately, even after it was planned to be handed over to the B&O Railroad Museum upon retirement the famous Geep was initially in danger of being sold to a leasing firm. Thankfully the near-blunder was averted and as promised the museum received it as a donation from CSX. Today it awaits restoration back into its original Chessie System colors (when it received its All American status) as well as the nameplates it originally received. Today, the GP38, GP38-2, and GP38AC can still be regularly found on small and large railroads.